Tips on How to Prepare a Government Job Interview . Well! In private sector you research about the company where you are applying for job, but here you have to find out about the government department or section. Ascertain information about the Sarkari Naukri where you will be giving the interview. You must know the subject in detail only then you can face the Interview. If you are going to attend the Interview on the reference basis then see to it that your reference is genuine and solid. For creating a chain of thought it is always good to note down all the topics on which you may talk to Interviewers in the whole Interview. You could do some research about other types of government jobs which is related to your job where you will be giving interview. You can find resources on Internet where there are some typical questions that interviewers always ask. Learn about them. 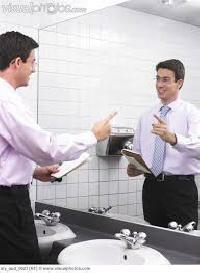 Ascertaining competition will give you an idea about the interview. If the numbers of candidates are more, then Interview would going to be tough. Never assume that you can crack an interview for govt jobs, just preparing overnight. It is a long process and you have to give due time.